I had two small victories today. Small in that most of my students wouldn’t have been able to identify them as glorious. Small in that so far only my colleague and I know about them. But what these victories have taught me about my students? Huge. I’m in my second year of trying to create a culture of connection in my classroom. I want my students to see our Twitter and Instagram accounts as a way for them to connect with the outside world, brag about their great ideas, and humbly seek to learn beyond their comfort zone. But I am impatient. Students rarely think to share out through social media, and when I directly ask them to, I only have a few volunteers. Students will interact with what I post from our classroom, but they don’t own using the accounts themselves. But today, after reading our first Global Read Aloud book (the pun-tastic picture book Chopsticks by Amy Krouse Rosenthal), a student suggested that in addition to the author, we tweet a question to the illustrator, Scott Magoon. Another student noticed a visual pun in the illustration that I wouldn’t have found in a million years. The two students collaborated to ask the illustrator if it was intentional. The tweet was born and sent. We moved on to our discussion of theme. A few minutes later, Magoon replies with a compliment to the students. Victory #1: a student-owned connected learning experience! 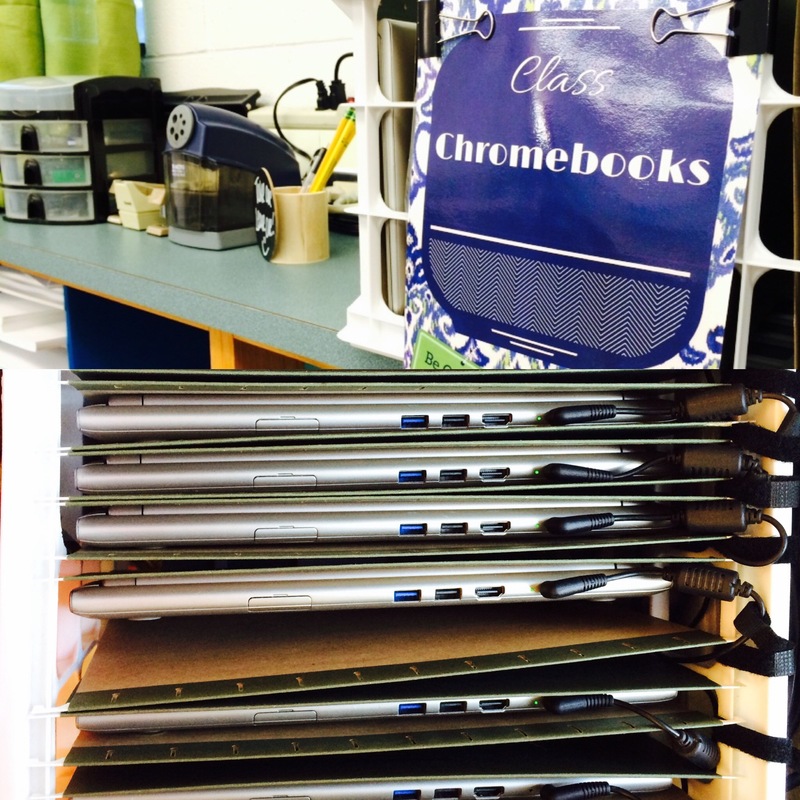 See, I had come up with a seemingly brilliant organization solution to the problematic Chromebooks and their never-ending cords. But that solution quickly turned into a student-created mess when students didn’t follow my vision, and instead threw the Chromebooks wildly into the crates hardly bothering to plug them in or land them in the folders. A mess. In the first two weeks of school, I spent 15 minutes every day restoring the system to order. I grew mad and then bitter. Then resigned…and finally humbled. I created the system, not them. Their actions showed me they didn’t own responsibility for its functionality or sustainability. I could force it to work with punitive measures and threats, or I could choose a different perspective and view this as a learning experience. I chose the latter and allowed the system hobble along, hoping students would notice its dysfunction and complain. Then, I could ask for THEIR help to solve it, and I would ask THEM to own the solution. This was difficult. I hate mess, clutter, and lack of functionality. But it was important. The junior boy who so thoughtfully offered to fix it for me, gave me some great ideas to revise my broken system. These are small victories for my classroom, but large victories for my learning. Co-ownership of a classroom takes patience. Shared learning takes trust. Both take time. Sometimes I grit my teeth and wait. Other times, like today, I can smile, give myself that long-awaited high five, and strengthen my resolve to do this the hard way. Because it’s so worth it. Great post–I totally connect with it. I had a long conversation today with a colleague (outside observer/collaborator) about the process of creating a writing community. It is clicking in 4 out of 5 classes…but that one class…something just isnt clicking yet. We analyzed what has been working as well as what may not be–the bottom line, the magic “it” doesn’t always happen on our watch. “It” can take time, but what it also takes–and I can glean this from your experiences and post–is an atmosphere led by caring, resilience, and patience!